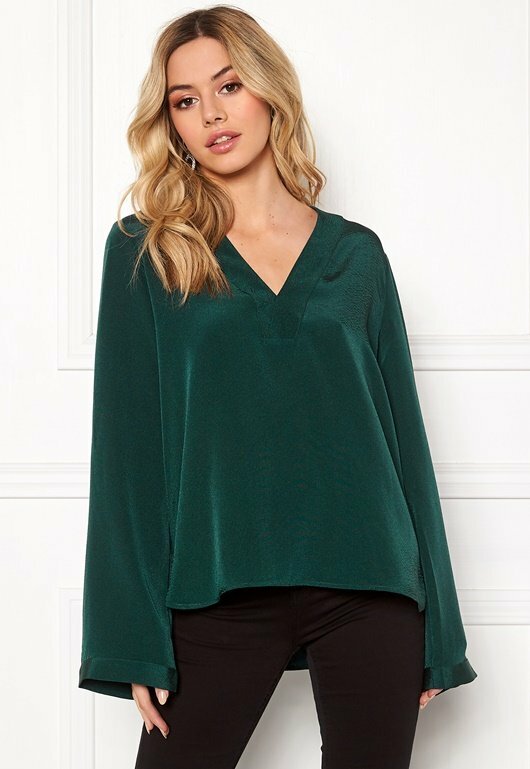 Stylish blouse with a lovely drape from TWIST & TANGO. The blouse creates a lovely silhouette and is perfect for both everyday and party wear. - Nonstretch, woven quality - V-neck - Wide sleeves - Opening at bottom of sides Back length from shoulder 69 cm, bust 102 cm in size 36. The model is 170 cm tall and wears a size 36. Machine wash at 30 degrees (delicate wash).